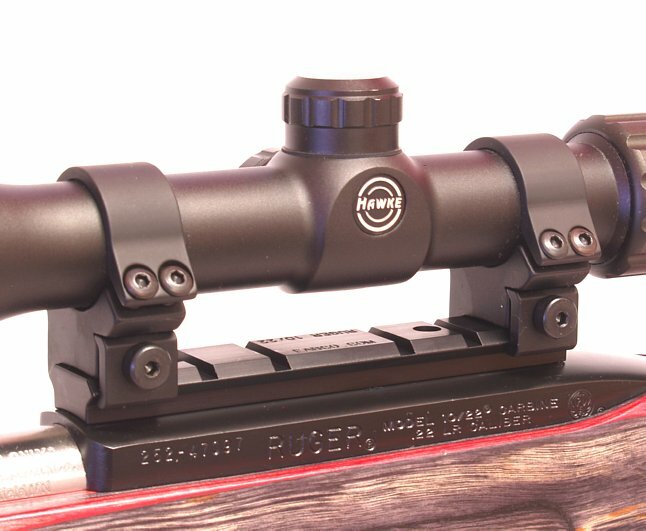 This is a complete scope mounting system for your Ruger 10/22. It includes our Precision Machined Weaver style base and two of our Keylock Magnum Rings. The rings fit standard one inch diameter scope tubes. The Precision Weaver Style Base is also available without rings... Click Here. Be sure to see all of our many other Ruger 10/22 Accessories.